Update (4:23 CET, Monday, May 15th): We are now seeing more than 213,000 detections of WannaCry, in 112 countries. We have observed a massive peak in WannaCry (aka WCry) ransomware attacks today, with more than 57,000 detections, so far. According to our data, the ransomware is mainly being targeted to Russia, Ukraine and Taiwan, but the ransomware has successfully infected major institutions, like hospitals across England and Spanish telecommunications company, Telefonica. We saw the first version of WannaCry in February and now the ransomware is available in 28 different languages, from languages like Bulgarian to Vietnamese. Today at 8 am CET, we noticed an increase in activity of this strain, which quickly escalated into a massive spreading, beginning at 10 am. The ransomware changes the affected file extension names to “.WNCRY”, so an infected file will look something like: original_name_of_file.jpg.WNCRY, for example. 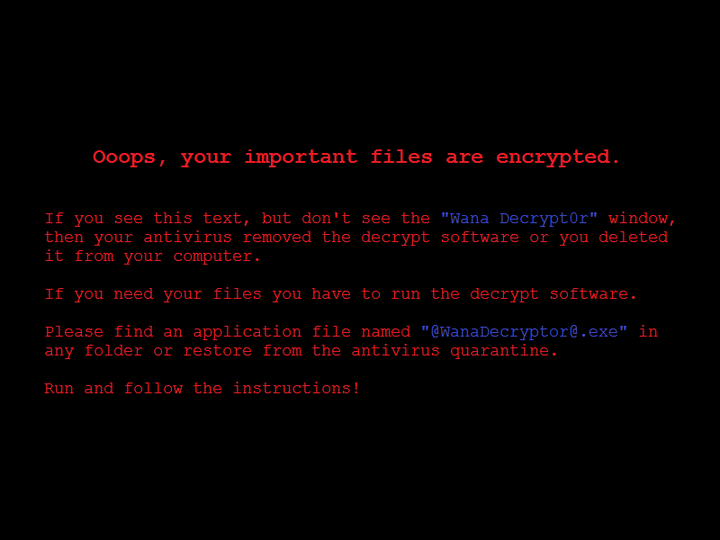 The encrypted files are also marked by the “WANACRY!” string at the beginning of the file. 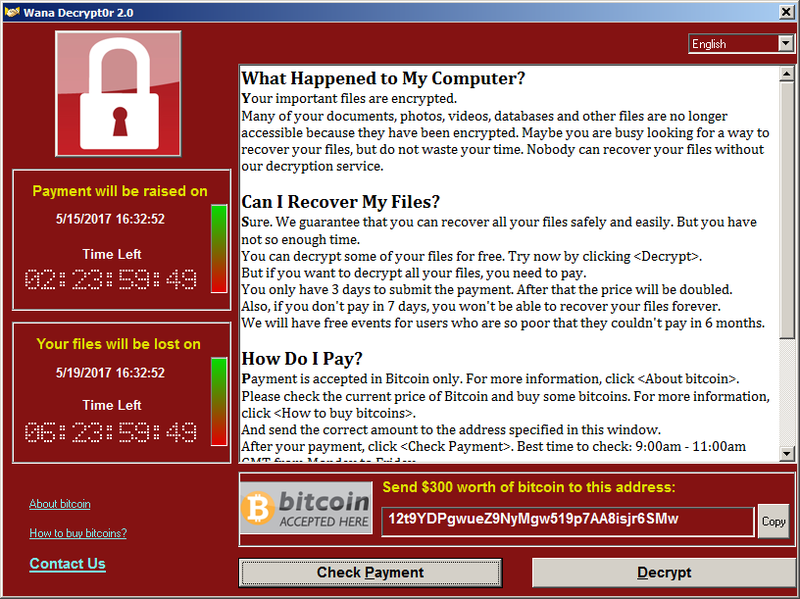 WannaCry is most likely spreading on so many computers by using an exploit the Equation Group, which is a group that is widely suspected of being tied to the NSA, used for its dirty business. A hacker group called ShadowBrokers has stolen Equation Group’s hacking tools and has publicly released them. As confirmed by security researcher, Kafeine, the exploit, known as ETERNALBLUE or MS17-010, was probably used by the cybercriminals behind WannaCry and is a Windows SMB (Server Message Block, a network file sharing protocol) vulnerability. Avast antivirus detects all known versions of WannaCry, but we strongly recommend all Windows users fully update their system with the latest available patches. We will continue to monitor this outbreak and update this blog post when we have further updates.